Water belongs to the most essential elements for human beings. And access to clean water is highly important for many reasons. In Peru a lot of people do not have the money to pay for bottled water. That leaves them the option to boil the water. Or drink it directly from the tap. At home, boiling water is a good option. But in public places, like schools or sport pitches, with a vast number of people, it can be very complicated. The temptation of drinking tap water while being thirsty is a logical one. However, Peruvian tap water is usually a very bad choice. The tap water contains bacteria of all sorts. Both the local population and the tourists have considerable problems with it. But where the tourists have the financial possibility to buy bottled water, many Peruvians struggle with that expense. Water filter installation is a good and healthy alternative. 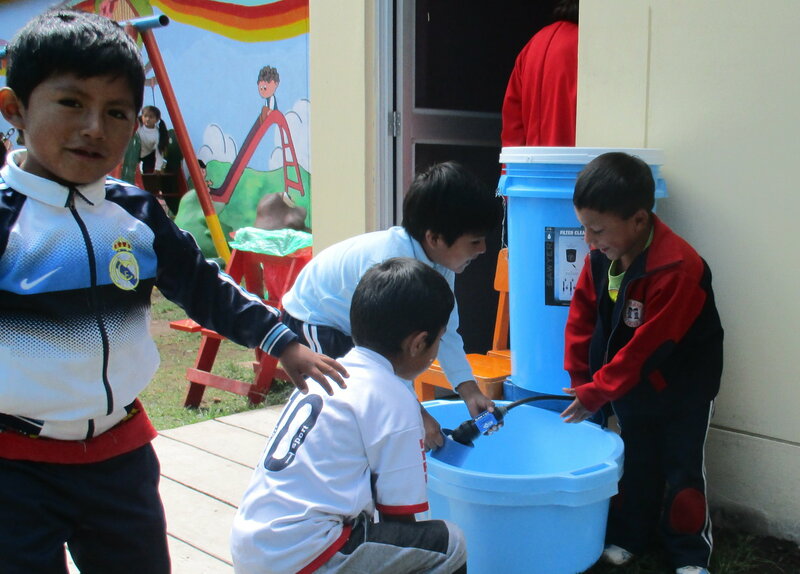 In the past few years Peru Volunteer has installed around 25 water filters. We installed them mostly in schools and Kindergartens. In the upcoming weeks and months we want to start installing filters again! The benefits of access to clean water are enormous. Human body weight consists for over 60% of water. All cells and organs in your body use water. Hydration is essential and extremely important, as sweating, breathing and the digestion of food make your body lose water. Lack of hydration is the biggest source of headaches. And having a headache is of course very counterproductive for studying. Therefor children in school really need to drink water. But also next to sport pitches, clean water should be available. Practicing sports makes thirsty and dehydrates. Those physical efforts are healthy, but drinking the Peruvian tap water as a “reward” can cause serious damage. 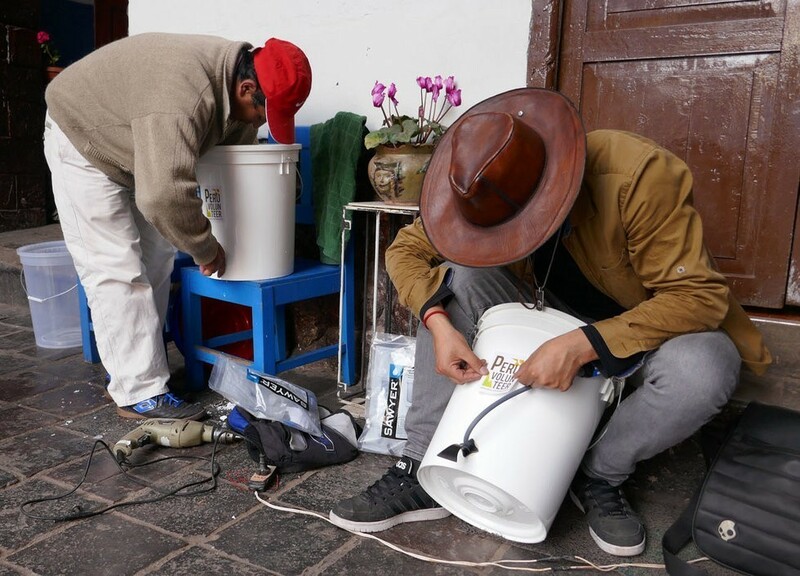 Peru Volunteer expects to install minimally another 25 water filters in the upcoming months, with the help of our volunteers. The goal is to create a stable and ongoing “Water filter installation” project. We will surely need all the help we can get, so contact us if you would like to join.